Complete video recordings from the Number Day event on a set of 5 DVDs, revealing the theory and techniques for high-precision market timing with numerology and the Law of Vibration. Why Don't We Follow The Rules? 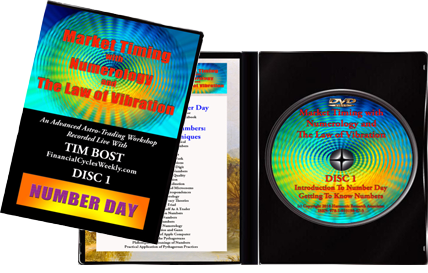 Add the DVD recordings from the workshop on Profitable Trading with Planetary Timing to your order for just $547!